When I am decorating a space for myself or for a client I like to keep the "bones" of the space neutral. In my own home I like to switch things up a lot and the best way to do that is by changing out a few accessories. 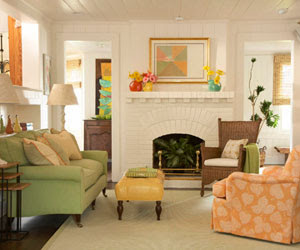 I prefer that the walls and sofas be fairly neutral so that if I want to change the look, I can throw in a new pillow, a pretty collection of glazed pottery or a new print and get a re-freshed room. 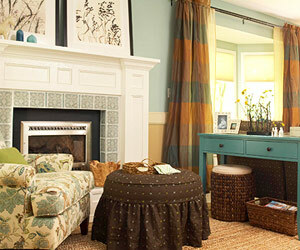 That being said, fabrics are a wonderful way to brighten up a space. Last month while I was working with my "out of town" client, one of the things I needed to do was to select fabrics for a few upholstery projects. 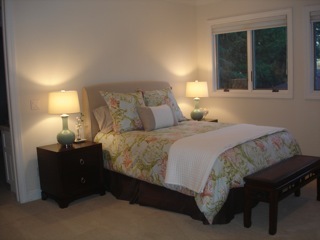 This bedroom is used as a guest room for when the client's adult children come to visit and it has a calm, spa-like feel to it. 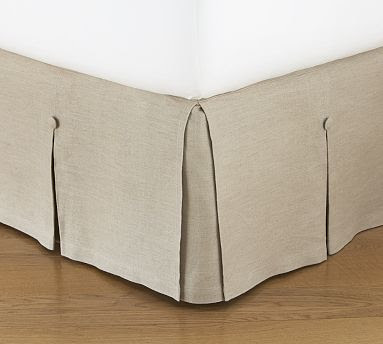 In keeping with that, the walls will be painted Benjamin Moore's Revere Pewter (HC 172) and I had them replace the bedskirt with a linen skirt to match the headboard. To finish off the existing window treatments they are having simple dummy panels made in a white cotton duck that will flank the sides and also between the two windows with an espresso colored wooden rod. The client had an existing chair from her previous home that we are having re-covered and an ottoman made to match in this fabric from Norbar. 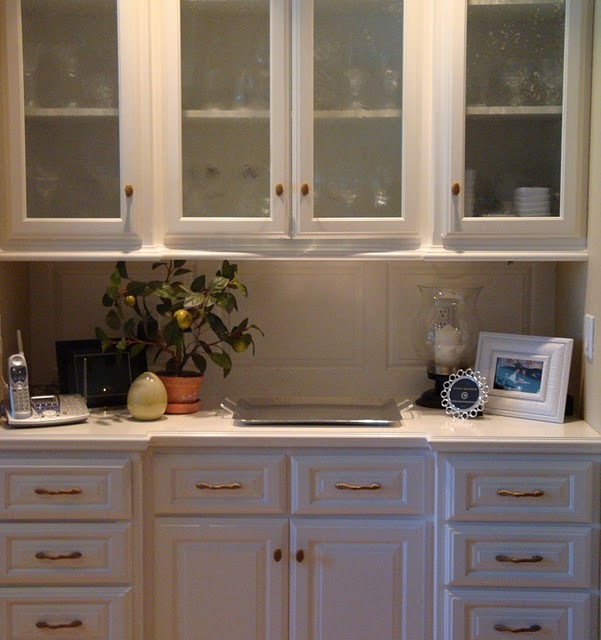 The color is perfect to keep the space calm and uncluttered and I like the organic feel to it. 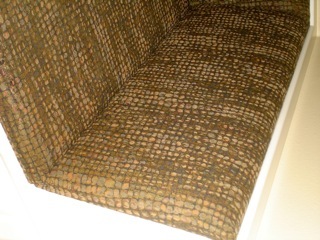 I chose this fabric, also from Norbar for a pillow just for fun. 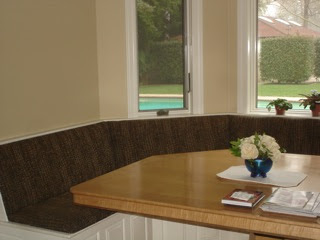 And lastly, they have a wonderful banquette in their kitchen that is worn and ready for a new look. 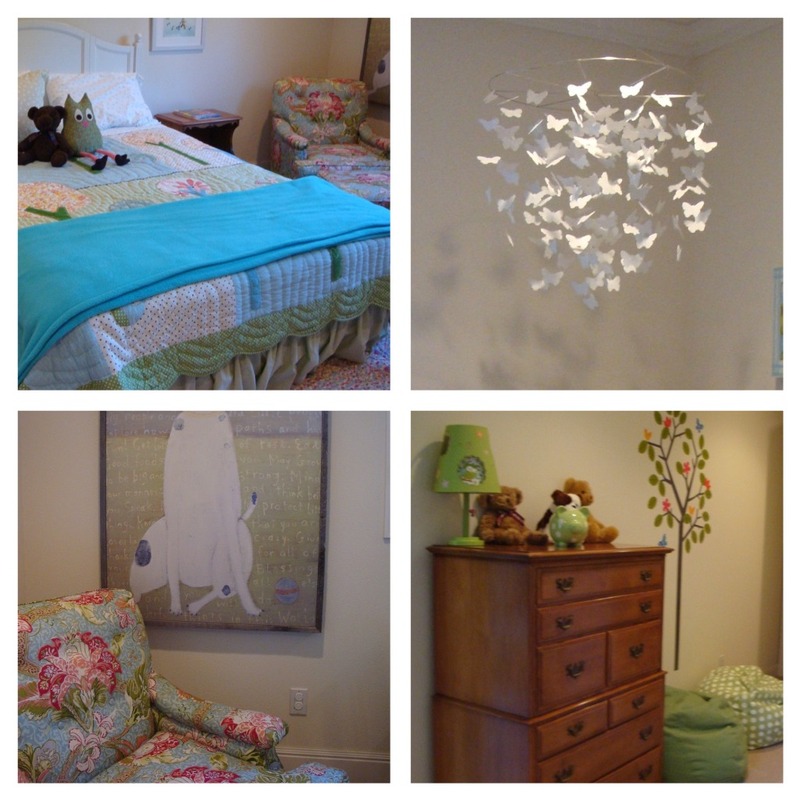 This sweet children's room attaches to the adult kid's room with a Jack and Jill bathroom in between and will also be painted in Revere Pewter. I really love that dog painting!! Love it. And I like the fabric you chose. Thanks Priscilla! 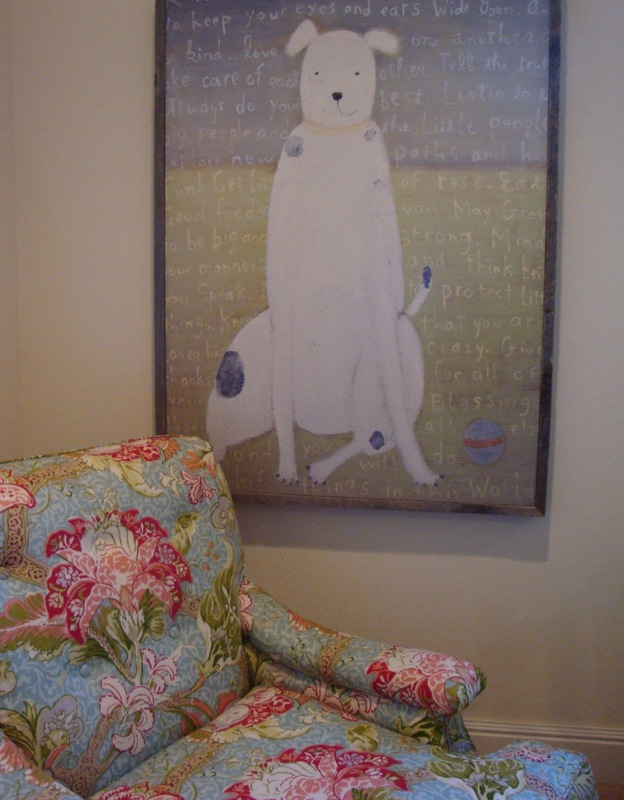 The dog painting was purchased on my first trip up there and really made that room! I want to thank you so much, much, much for your comment! :-) I really needed some impute about my "overdoing" habits. I do too much sometimes and now, I'm paying the consequences. I just came back from the doctor and I'm with bronchitis, so I will need to take it easy and take care of myself. It's not a big deal, but I can't stop coughing and everything hurts inside. So, reading your comment made me feel really cared. Thank you so much!!! About this post, well... you know that I truly love reading about your projects. I always learn so much with them and I always get great info from it. I'm loving the fabrics and I'm with Priscila, I also love the dog's painting. How adorable!